Brielle Goheen is a freelance violinist/vocalist with a passion for creation and collaboration with other musicians in new music projects. 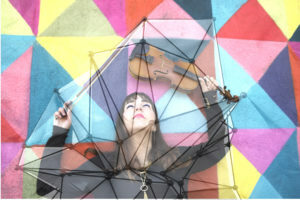 Since studying Violin Performance and Composition at Trinity Western University, she has worked with many great artists in her capacity as a session musician and as a live performer. These artists include The Blazing Fiddles, The Big Sound, Jennifer Castle, LMT Connection, and The Great Lake Swimmers. In 2014, Goheen was nominated for a Hamilton Arts Award for her contributions to the Hamilton music community. Most recently, she is about to launch a new experimental electronic art pop project under the moniker Red Wind.